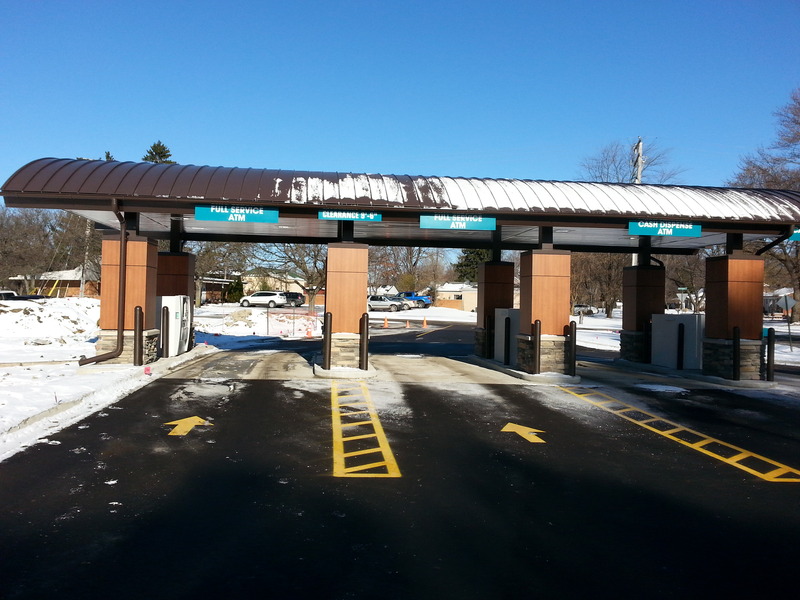 There were 80 Stonewood Panels installed at the Community Choice Credit Union in Northville, Michigan. 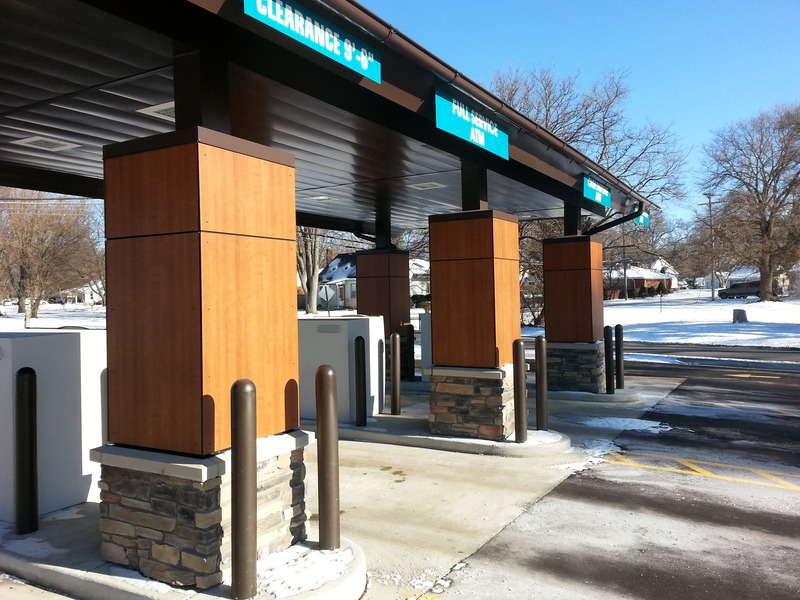 The 48-by-96 inch Wood Grain panels were used as both interior and exterior accompaniments to enliven the commercial structure’s warm allure. These panels not only stylishly articulate the rosy finish and genteel nature of the building’s breezeway interior design, they are robust enough to withstand the constantly-changing weather conditions in Michigan. 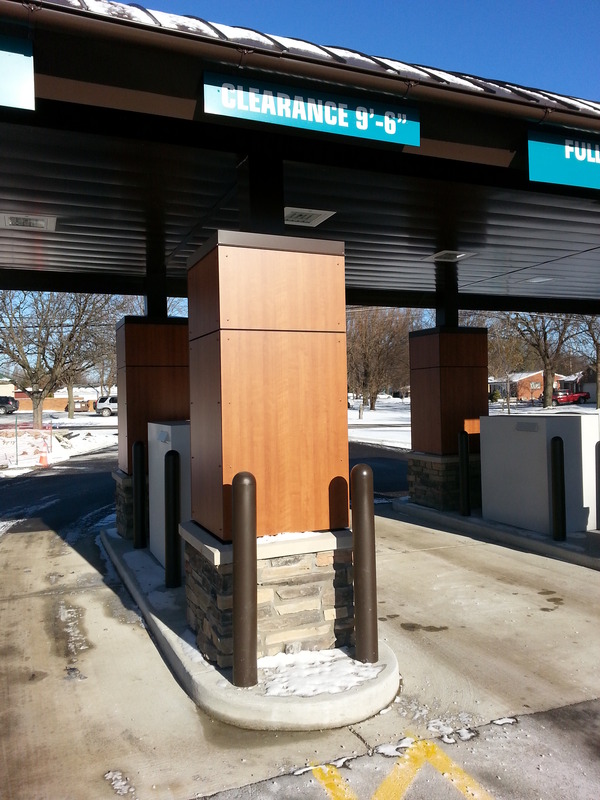 Sizes 8mm; 48" x 96"
The Wood Grain panels were used to enliven the commercial structure’s warm allure both inside and out.